Brilliant forensic pathologist, Erika Hanson, fled from Echo Springs as a teenager, leaving behind a past of tragedy and pain. 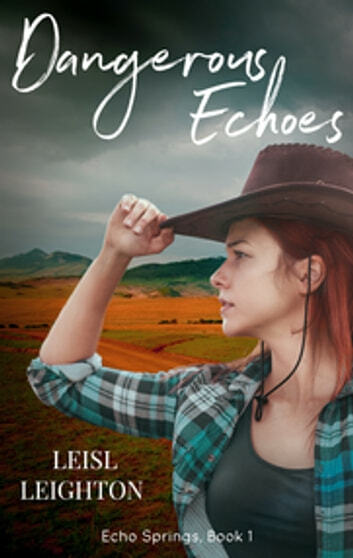 But when local police announce they've found her beloved brother's body in a meth lab explosion, she knows she must return to clear Peter's name and find out what really happened. Because Peter would never get involved with the drug tag sweeping across the small town of Australia and destroying lives. Hartley Cooper has a past with Erika Hanson, but that's not going to keep him from doing his job. He's seen what grief can do, and denial is only the first step. But Erika is convinced that Peter can't be involved, and her meticulous, professional skills start to convince Hartley as well. When Erika's digging and questions get too personal, the town turns against them, Hartley knows Erika might run again. But this time he's ready. And he's not going to let her go.